" We sell the best and service the rest." While most companies concentrate on increasing their sales, we concentrate on helping their customers when they have a problem with their water softener or reverse osmosis systems. This is how we grow our business by welcoming the referrals from our satisfied customers. We talk to our customers and provide free quotes for repairs. 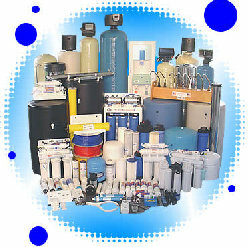 We carry replacement filters, membranes and spare parts for most systems. If your system is really just too old or not worth fixing anymore we can upgrade you to a newer system for pennies on the dollar compared to most companies. We invite you to shop around before investing.